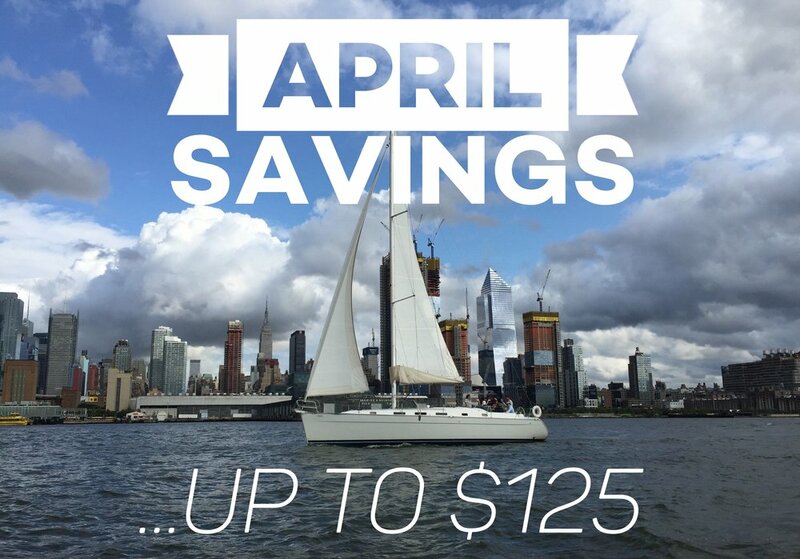 HUGE savings on May and June Private Yacht Charters when you book in April. We’re getting close to the Summer 2019 NYC Sailing Season. Can’t wait to see you out there! There are still a couple openings this Sunday for a Private Sailboat Charter in NYC. Give us a ring 212.518.4604 or email and take advantage of some amazing weather heading this way! Stepping on dry land and into 2015. Our original website AtlanticYachting.com has been a wonderful asset for almost ten years. Unfortunately she isn't very mobile friendly and the googles is starting to punish her for it. While the long and arduous process of rebuilding our original site is underway, sites like this are filling the void. You can still check out the original sailing blog and all the old posts. Our NYC Sailing Camp has a new site as well. See you on the water and have a great weekend!